When Big Sister E was born, our first introduction to diapers was in the hospital with the Pampers Swaddlers that were used. They were soft, they were absorbent, they were easily adjustable... the nurses didn't even act like they minded having to go off in search of the size 1 diapers since I had to go and have a jumbo baby (10 pounds, 5 ounces) that didn't fit in the newborn ones that were stocked and ready. After we brought our little girl home, it only seemed natural that we would continue to use the diapers that we had grown accustomed to - not to mention that if the hospital used them, they had to be the best, right? Although that didn't stop us from trying out nearly every single other brand of diapers out there, over the years we always returned to Pampers and they will always remain my favorite. So what could make them better? 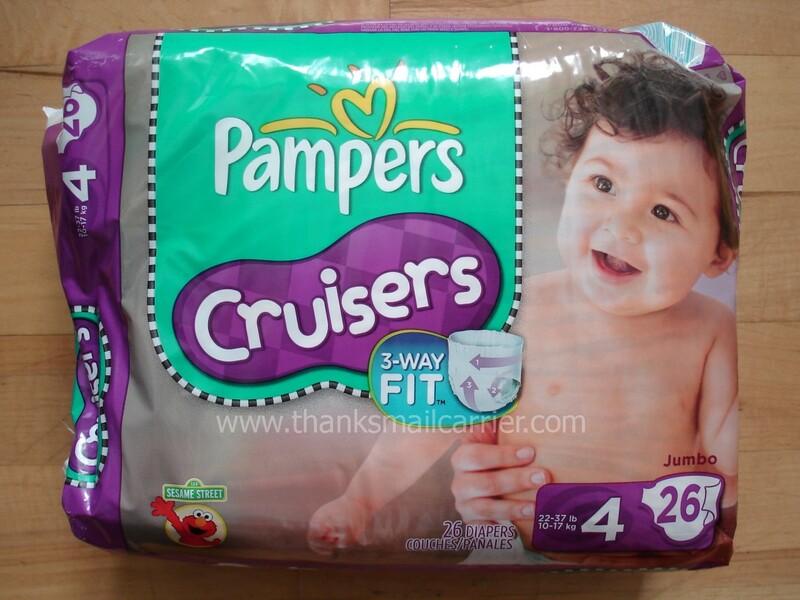 Improvements to the line of Pampers Cruisers that have made them out-perform even themselves! 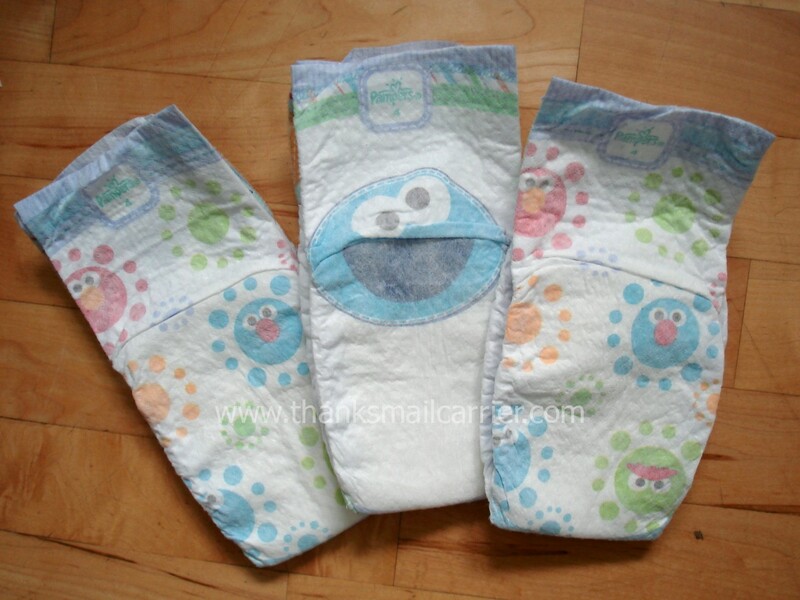 Taking into account what parents have been asking for, the new line of Pampers Cruisers diapers now includes a softer, quilted backsheet that is similar to Swaddlers, a longer absorbent core, a comfortable 3-way fit, and adorable new Sesame Street designs on both the front and back. 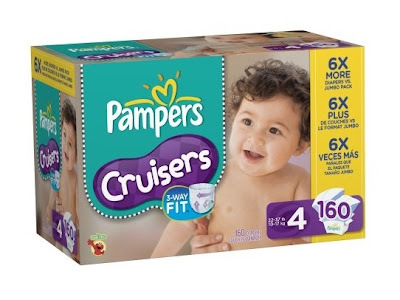 After hearing all that, we were excited to check them out in person and see how much these improvements could make Pampers Cruisers even better than before. Opening the package, I was happy to take a whiff of that new baby smell that Pampers infuses into their diapers and we pulled out a selection to see their bright colors and fun designs. And when I said adorable, I meant it! Although it was hard to see much of anything besides the complete cuteness of these characters (including the never-before-seen appearance by Oscar the Grouch! ), these diapers came just in time for us to try out before diving into the fun of potty training. 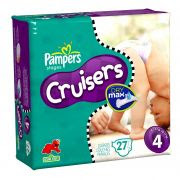 Just as I knew that they would, the new Pampers Cruisers completely impressed me in their performance. The 3-way fit really does add comfort to the waist, legs, and bottom and I love how stretchy the sides and elastic is to fit Little Sister B perfectly. Considering how active she is, these did a great job keeping up every step of the way. Her skin was always soft and dry and we never had a single leak - two aspects of a great diaper! From the fun, colorful, new designs to the quilted softness to the 12 hour leakage protection, I wasn't sure that I could like Pampers any more than I did before, but their new Cruisers have accomplished just that. Although we're just on our way of being done with diapers in our household, I would absolutely recommend these to any new mom without hesitation. in their choice of size 3 or 4! To enter to win: Tell me what you like about the new and improved Pampers Cruisers OR what Sesame Street character would you like to see featured next? 1 Extra Entry (per method) if you follow Pampers on Twitter and/or Like them on Facebook. Giveaway will end on August 24th at 11:59pm CST. Do me the favor of leaving an email address or making absolutely sure it is visible in your profile, I have to have a way to contact the winner. The winner will be chosen by random.org and announced here as well as emailed and will have 48 hours to contact me or respond to notification or a new winner will be chosen. This giveaway is open to U.S. residents only. A big thank you to Pampers for providing a package of Pampers Cruisers for me to review as well as for one lucky giveaway winner. The opinions shared are my own and honest and if you really need to see more, click here to see how I roll. It would be fun to see Big Bird featured. Would love to Mr. Snuffalufagus!! I wanna see ZOE featured! i'd love to see grover featured! I want to see Big Bird! I like Pampers on FB as Phaedra S.
ENTRY 1 - I am a fan on FB as Phaedra S.
ENTRY 2 - I am a fan on FB as Phaedra S.
I'd love to see Big Bird featured! I entered the Seventh Generation diapers giveaway. They are all cute, but it would be fun to see Big Bird! I love the Color-changing Wetness Indicator. Pampers is the only diaper we buy! Big bird of course... everyone's fave! I like the stretchy sides and the cute designs. I would like to see Big Bird! I like how the fit my baby! i would love to see big bird!! !